On the tour bus riding to Gombin in August 1999, we were stunned when Ada Holtzman read out the name “Pinchas Chaja” from a recovered matzevah in the Gombin cemetery. This was the name of my mother’s first born, the brother whom I had only known as a small boy in old family photos. Jane and I found the stone among those in the cemetery memorial. When I laid my hand on it, I felt as if I were touching my brother. His is the story of the survival of our family. My mother, Chana Ryzman, and my father, Simcha Chaja, were married in Gombin in 1929. Pinchas was born in 1930 and my sister, Evelyn, in 1932. In 1937, my father left Poland to go to Uruguay; the plan was for him to work for 3 years, and then send for the rest of the family. My mother moved in with her father, Manele Ryzman, to his house on Kilinskeigo Street. 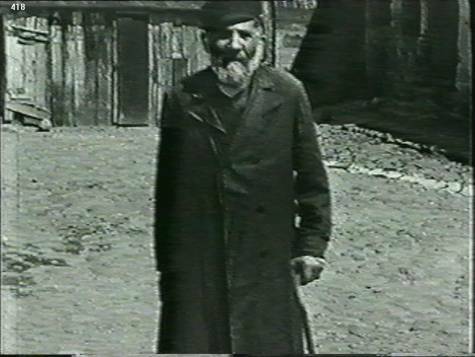 Pinchas became ill with fever in 1938. There’s no knowing today what the illness was. He died in the hospital in Plock and was buried in the Gombin cemetery. The period after Pinchas’ death was very hard for my mother. She visited the cemetery every morning in a distraught state. When news of Pinchas’ death reached my father, he sent word for my mother and Evelyn to join him in Montevideo. They left Gombin in the winter of 1938/39. Benny Guyer helped them get the train to Danzig. 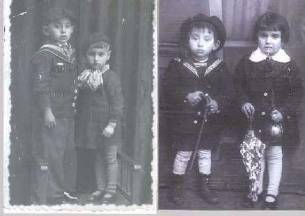 My mother and sister were delayed for 6 months at the Jews’ Temporary Shelter in London before continuing the journey. The family passed the war in Uruguay, where I was born in 1942. They emigrated to Detroit in 1945, sponsored by my mother’s brother, Max Rissman. My sister, Marilyn, was born in 1948. So, the story of Pinchas’ death is truly the story of the survival of our family. Without the sense of urgency caused by his death, my mother and sister would have remained in Gombin to perish with the rest of her family — my grandfather Manele and others — presumably at Chelmno. Jane and I made a rubbing of the matzevah to take to the family. It was like bringing home our brother. My mother had never seen the matzevah erected by her father a year after Pinchas’ death. She had already left by then and never knew it actually existed. The Yiddish inscription reads: “du reht undzer leeb kind, Pinchas, gesht[orbin] elter 8 yor.” Translated: “Here rests our beloved child, Pinchas, [who] died [at] 8 years old.” The family name, “Chaja,” is only partially visible in the upper corner of the broken stone; only someone like Ada, knowledgeable in the family names of Gombin, could have recognized it.